Originally released in 1992 and winner of that year’s Best Foreign Film Academy Award, it has been nearly 25 years since Indochine was in cinemas. The new DVD re-release and restoration couldn’t in many ways be more timely with an entire generation, including myself, missing the release first time round. This feels like an opportunity to revaluate a film that seems to sit in an in-between state, as it has neither garnered recent acclaim nor classic status. 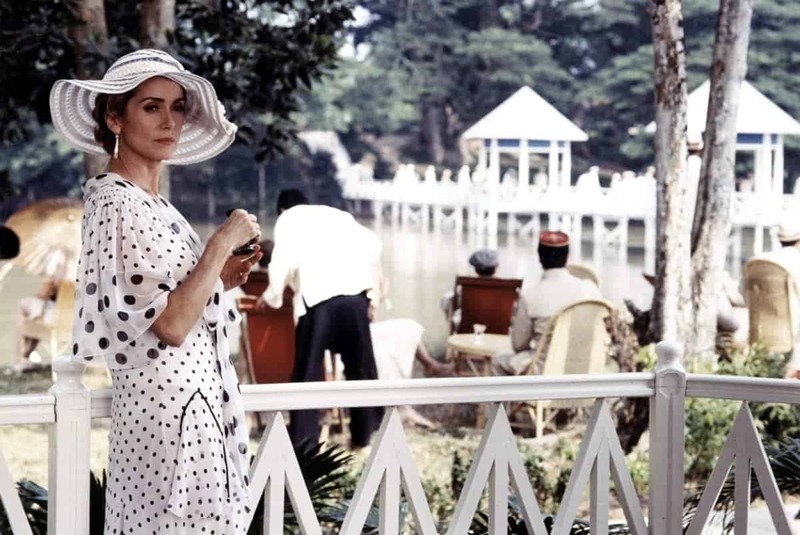 Set predominantly in 1930s Vietnam, Indochine centres around Eliane (Catherine Deneuve), a rubber plantation owner and her daughter Camille, an Annamite princess, she adopts following the death of her parents. As the years go by both Eliane and Camille in turn fall in love with a young French naval officer named Jean-Baptiste (Vincent Perez). Camille eventually ends up running away in search of Jean-Baptiste, and the peaceful and content world in which she and Eliane had lived seems to be falling apart. The treacherous journeys each character takes are matched by Vietnam itself, as the country sees both the rise of communist parties and the break away from colonial rule. The film manages to remain entertaining throughout its 2 and a half hour run time, but fails to justify its excessive length, with a number of false climaxes within its final third. There is definitely an attempt to match the grandeur of period epics like Gone With the Wind and The Last Emperor, but the film instead is most effective in its more intimate moments, notably between Eliane and Camille, behind the beautiful scenery and swooping shots. The cinematography is warm and evocative, and despite a dated feel is able to give a sense of early to mid-20th century Vietnam. Period dramas can often tell more about the times that they were made in than the times they are set in, and Indochine fits this rule. Made three years after the Berlin Wall came down, the film is interested in the changing nature of political regimes and how in time they inevitably appear transient. For director Régis Wargnier the transition to Vietnamese nationhood is not just filled with conflict and generational shift, but is also emotionally painful and accompanied with a real sense of loss. The standpoint Régis Wargnier takes still holds a certain degree of validity and hasn’t aged as badly as I feared before viewing. Yet since its original release, filmmakers like fellow French director Claire Denis have been able to look at colonialism and its legacy with greater complexity and critical understanding, leaving Indochine feeling safe where it once may have felt bold. The DVD extras are a welcome addition and do add to the viewing experience. A historical context to the events of the film was the most useful extra to me, giving details to a period that I’d only briefly covered at GCSE. The interviews from the director and cast, like the DVD extras in general, are of interest but are far from essential viewing and will not dramatically alter your opinions on the film. If I was to recommend a colonial drama I’d probably go elsewhere, but if you are searching for something to do on an empty Sunday afternoon Indochine is a pleasant and at times charming film that will fill a spare couple of hours. Within the meandering plot there are genuinely touching moments that even 25 years on are still worth a watch. Indochine is available on DVD and Blu-ray on January 2nd.